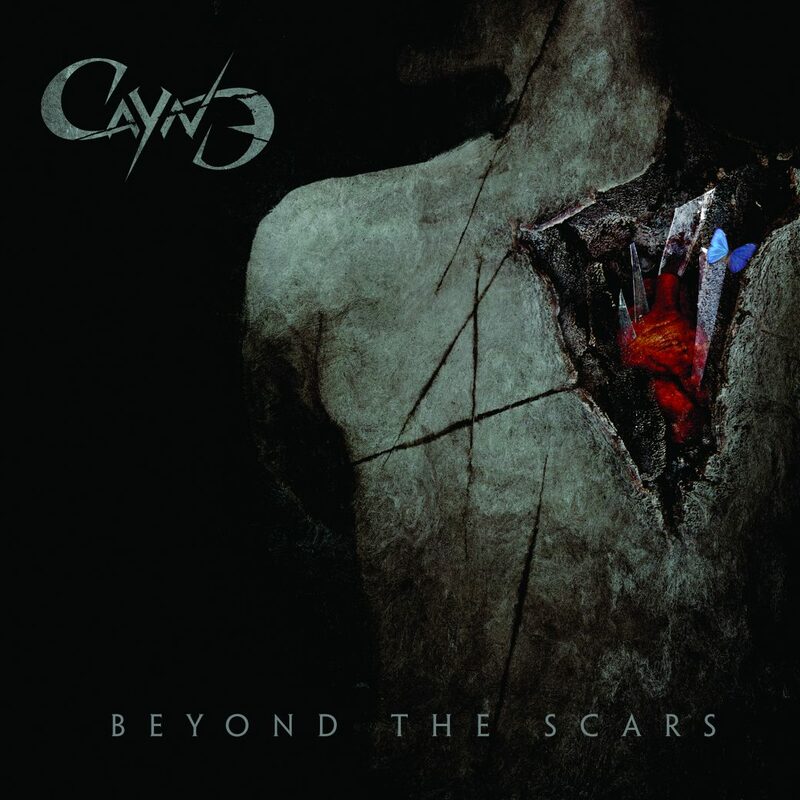 On June 29th 2018 Cayne released their third full album titled Beyond the Scars. And this was one tough cookie to review. I had to listen to the album several times over the course of a few days to make up my mind. It’s not an album that grabs you by the throat the first time, nor the second time for that matter. Over the course of a few times listening, the album starts to grow on you, so it should not be discarded after the first time. There is no song on the album that’ll blow your socks off, but there is also no song on the album that should not have been there either. If the name Cayne does not ring any bells you’re not to be alarmed. The band has a track record of being dormant for prolonged periods of time due to various setbacks and changes in line-up. After the release of the first album Old Faded Pictures in 2001, the band was dormant for over 4 years, slowly bringing the band back to life from 2006 onwards resulting in the 2011 EP Addicted and the 2013 self-titled album Cayne. The release of this album was darkened by founding member and guitarist Claudio Leo’s passing, after a long illness. The end of 2016, after several changes in the line-up, marks – what Cayne describes as – a rebirth of the band. The album Beyond the Scars contains 12 songs spanning almost an hour and is accompanied by a, rather humorous, video clip for the track Blessed by the Night featuring the members from the band riding a DeLorean in a wild night and meeting a bunch of famous cinema-, comic- and music stars from the 80s. The tracks are polished through and through, rinsed and polished again, but lacking the thunderous drums and guitars you might expect; sacrificed for the melodic compositions and vocal driven songs. The album revolves around the vocals, accompanied by a (rather folkish-) violin and backed by synths and more in the background the guitars, bass and drums. The overall sound of the album is tipping more towards (hard-)rock than metal. One might raise an eyebrow over this choice of mastering, as did I, but the result is not to be ignored. Leaving the original track list aside, stepping through a few tracks of the album: The opening track No Answer From The Sky immediately “warns” the listener about the lack of raw metal and could have, in my opinion, been a lot harder. The track Blessed by the Night is not only accompanied by an 80’s styled clip, but also has an 80’s vibe going on. The Asylum of Broken Hope is a rather melodic bombshell on the album – pushed by strings and boisterous riffing in the center part. Free at Last is a good example of the band pushing the aforementioned folkish violin forward. The song starts with a rhythmic wall evolving into a melodic vocal masterpiece backed by the rhythm, but my personal favorite of the album being Torn Apart. Torn Apart should not be seen as an album reference though, this track being one of the heavier tracks of the album. Making full use of the (polyphonic) vocal range backed by heavy guitars but also containing a rather guitar-styled violin solo. In the end: Beyond the Scars will not top the charts but is a good addition to the playlist for anyone loving melodic rock.